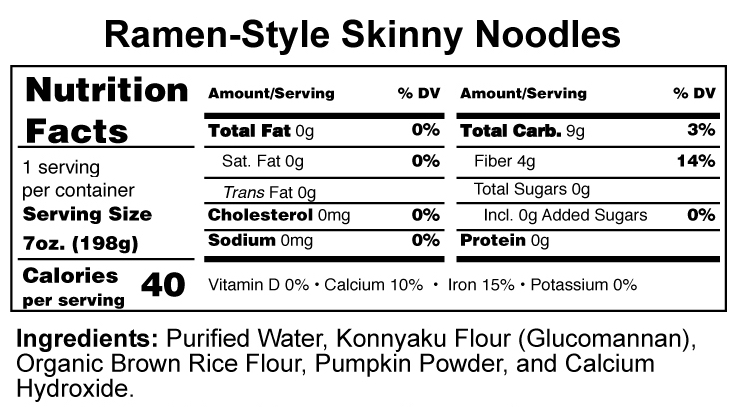 Skinny Noodles Shirataki: Easy Toshikoshi Ramen or "End of Year" Noodles with Healthy Skinny Ramen! Easy Toshikoshi Ramen or "End of Year" Noodles with Healthy Skinny Ramen! Are you ready to welcome the new year and say goodbye to the old one? Then say hello to a healthy version of Toshikoshi Ramen. In Japan, New Year's Day is the most important holiday of the year, just like Christmas in the West. While New Year's Day brings parties and much hoopla, New Year's Eve is customarily spent quietly at home with friends and family -- a time to reflect on the old year. 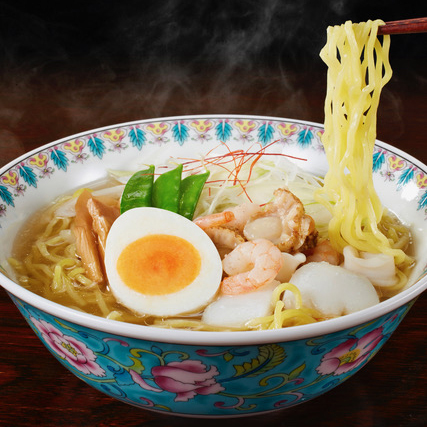 The traditional meal to have while waiting to greet the new year is toshikoshi soba. Start the new year eating right with our healthier version of ramen below, made with Skinny Noodle Ramen Style to cut fat, carbs, and calories dramatically. Yoi otoshi o! --- よいお年を！Wishing you a happy new year! Skinny Ramen noodles are precooked. Rinse with hot water, drain well, and set aside. Heat sesame and olive oil in medium sauce pan; add garlic clove and ginger, then stir/simmer for 2-3 minutes. Do not brown. Add sliced mushrooms or carrots if desired; cook until soft. Add chicken or vegetable broth and soy sauce; simmer 5 minutes. Add miso if desired. Add Skinny Ramen and simmer 2-3 minutes. Transfer to bowl and add optional toppings: soft boiled egg, sliced scallions, and kimchee or Sriracha sauce for spicy version. Serve hot. Makes 1 serving. 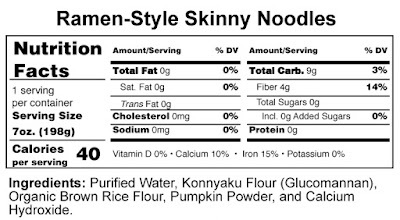 Visit us at www.getskinnynoodles.com to learn more about Skinny Ramen and shirataki noodles, get cooking tips, and explore all of our shirataki noodles recipes!